Foxconn might be changing its plans to create a massive production facility in Wisconsin. Reuters is reporting today that Foxconn might not be building liquid crystal displays in Wisconsin as they originally considered. Company officials told Reuters that the labor costs of making displays in the US are very high, and that they might instead create a research and technology hub in the state. The company stated earlier this month that they’re still committed to hiring 13-thousand people in Wisconsin, but it’s now unclear if or when that will happen. 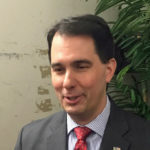 Wisconsin taxpayers will be providing $28 million in incentives over five years to Kimberly Clark Corporation, in a deal announced Thursday by outgoing Republican Governor Scott Walker. Walker has made saving the jobs at the Neenah Cold Spring plant a priority. The deal with Kimberly-Clark is through the Wisconsin Economic Development Corporation. 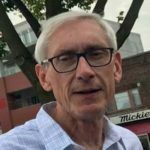 Under recently passed lame-duck legislation, the Legislature, not incoming Governor Tony Evers, would have to approve any such deals in the future. “The Republicans’ lame-duck session overriding the will of the people would affect the governor’s ability to lead on economic development through proposals like the one announced for Kimberly-Clark,” Evers said Thursday. The Republicans’ lame-duck session overriding the will of the people would affect the governor’s ability to lead on economic development through proposals like the one announced for Kimberly-Clark today. Kimberly-Clark will have to retain 388 jobs with an annual payroll of over $30 million. The governor also says Kimberly-Clark will invest up to $200 million at the plant over the next five years. A deal to save jobs at Kimberly Clark’s Neenah Cold Spring plant did not get done in the “lame duck” legislative session. It’s a big disappointment to the bill’s author, Representative Jim Steinke. “I’m afraid politics played a role. I was hoping once we got past the politics of the election, there would be more support for it. Obviously, we couldn’t garner any support from the Democrats,” the Kaukauna Republican said. A new report says Foxconn Technology Group is looking to cut back on costs and labor as profits fall for the tech giant. A report from Bloomberg says the company is planning to cut $2.9 billion in expenses and 10 percent of its non-technical workforce as international demand for the iPhone starts to slip. The company is the largest assembler of the smartphone, and it’s uncertain how this might affect plans to open a new manufacturing facility in Wisconsin. A Joint Finance Committee hearing at the Capitol could determine the future of hundreds of paper workers in the Fox Valley. A $70 million tax incentive package aims to keep Kimberly Clark’s Cold Spring plant open. “I’m asking that you folks send a message, don’t turn you backs on these jobs.” said Neenah Mayor and former Finance Committee co-chair Dean Kaufert. The plant makes adult incontinence products and employs more than 400 people. Wisconsin Economic Development Corporation Executive Director Mark Hogan said those jobs can go elsewhere. “There are other states that are willing to provide incentives, and that’s the free market that we live,” Hogan said. Republicans will need some Democrats’ support for that to happen. “I am not convinced that this is the right thing for the state to do,” GOP state Senator Luther Olsen, a finance committee member, said during Wednesday’s hearing. There are also three Senate Republicans – Senators Stave Nass of Whitewater, Chris Kapenga of Delafield and David Craig of the Town of Vernon – who are on record as opposing the deal, which passed the Assembly earlier this year. A public hearing has been scheduled at the Capitol this week, on a tax break bill for paper maker Kimberly-Clark. The legislature’s Joint Finance Committee will hold the hearing on Wednesday, although state Senate Democrats don’t appear to have the votes needed to pass the $100 million package. That would require some Democrats to vote for it, which appears unlikely. The state Assembly passed the measure earlier this year. Kimberly-Clark has said without the tax breaks, the Cold Spring plant in Fox Crossing will close. About 500 people work there. State Senator Jon Erpenbach, a Dane County Democrat, said last week that he didn’t think Senate Democrats would vote for the bill. The “Wall Street Journal” reports that Foxconn Technology Group is considering bringing workers from China, to staff its Wisconsin factory. The firm is refuting the claim. The Journal ran the story Tuesday morning, and reported that Foxconn stated that its “commitment to Wisconsin is unchanged,” and that the Racine County complex will “ultimately” employ 13,000 people. In response to the article, Foxconn released a further statement, categorically denying that it is recruiting Chinese personnel to staff the project.